Ionic Pro Series Nerf Bars are made of a low carbon steel to give you better durability without the weight. The Ionic Pro Series Nerf Bars conveniently provide a step for every door. Ionic Pro Series step pads are made from hard durable plastic to withstand any abuse you give them. The Ionic Pro Series Nerf Bars have welded end caps for a sturdy one piece construction. 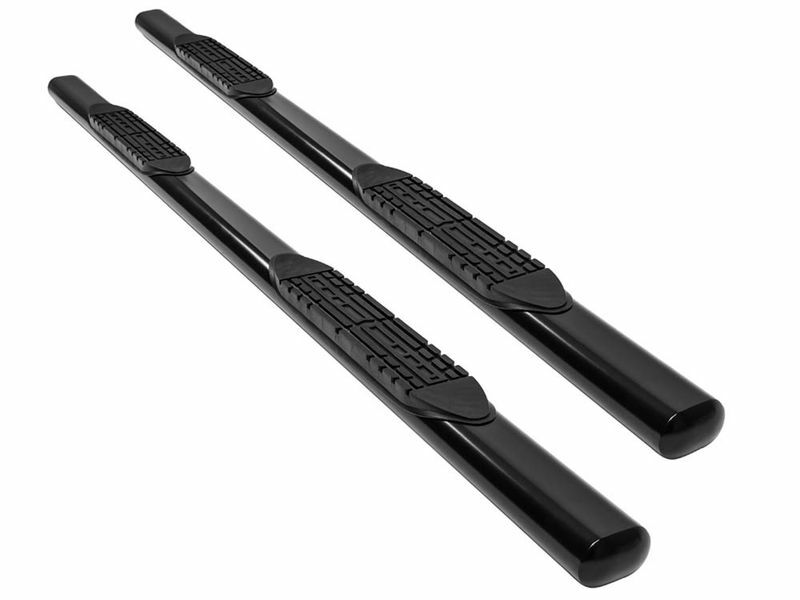 The Ionic 4" Black Nerf Bars run the length of your truck cab, and provide a 4 inch wide step at every door. These bars use superior brackets that are made specifically for each vehicle to enhance rigidity. The quality, dual coated powder coat process resists scratches, and the e-coated finish protects against corrosion inside the bar. The step pads feature a reinforced internal support to provide a safe step all year long, and the one piece design features welded end caps for a strong, durable construction. This product has a 5 year warranty, has a no drill install on most vehicles, and comes with 2 bars as well as any hardware necessary to install.